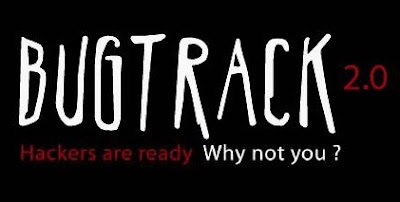 BugTrack - Hackers are Ready , Why not you? The boot-camp is designed for people who have basic knowledge of programming and have the desire to build up a career in Computer Security. In this boot-camp, details regarding the tools and techniques involved in conducting professional Penetration Testing, Network Security, Web Application Security audits. Participants will realize their responsibilities as a security professional. This camp will open doors to new and exciting career opportunities. Moreover it will give participants an edge over their fellows while applying for employment. Learn and interact directly with the industry people on computer security of the country. Benefit from the invaluable experience of working on securing real assets from real-world threats. Receive an unparalleled education on the art of computer security with personal one-on-one attention from Nishant Das Patnaik. Innovate7 Technologies certifications are well recognized in the security industry. Improve your job prospects and get an edge over your colleagues. Earn starting salary of up to Rs. 30000 per month in India and up to 70000 USD per annum abroad. Toppers of each batch to be personally interviewed by Nishant Das Patnaik personally and will receive a chance to work with him on security projects. Knowledge of Web application development (in HTML, Js, ASP, PHP, JSP, Python, Perl etc.) will benefit. Proto.in is a startup event organised in India which is a must for every Entrepreneur! It provides Entrepreneurs a platform to share their vision and showcase their imaginations and the working model of their product for the whole world to see. It also helps Startups to grow in strength and number , drawing wisdom from each other.